In anticipation of construction of several townhomes in Lake Country, we are offering an information event on February 23, 2019 from 9:00 – 10:00 am. 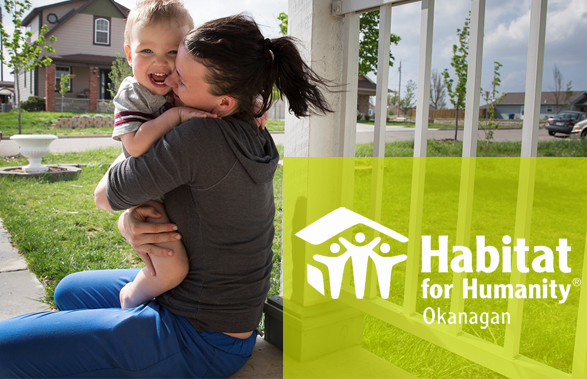 Please register to attend the “Do I Qualify” Information Event, where you will be provided with more details regarding qualification and the process of becoming a Habitat Okanagan Homeowner. After hearing the details and asking any questions you may have, those who feel that their family qualifies will be provided with a detailed application form. We look forward to seeing you at this meeting. It is our hope that your family would benefit from the strength, stability, and self-reliance that comes with affordable home ownership. Please check out our Facebook page for details on how to register for this event.